Free Automated Business Development. For Barbers. BarberBot ℠ efficiently manages the tedious administrative tasks (scheduling, rescheduling, cancellations, etc.) so you can focus on doing what you love. BarberBot ℠ does it so you don't have to. 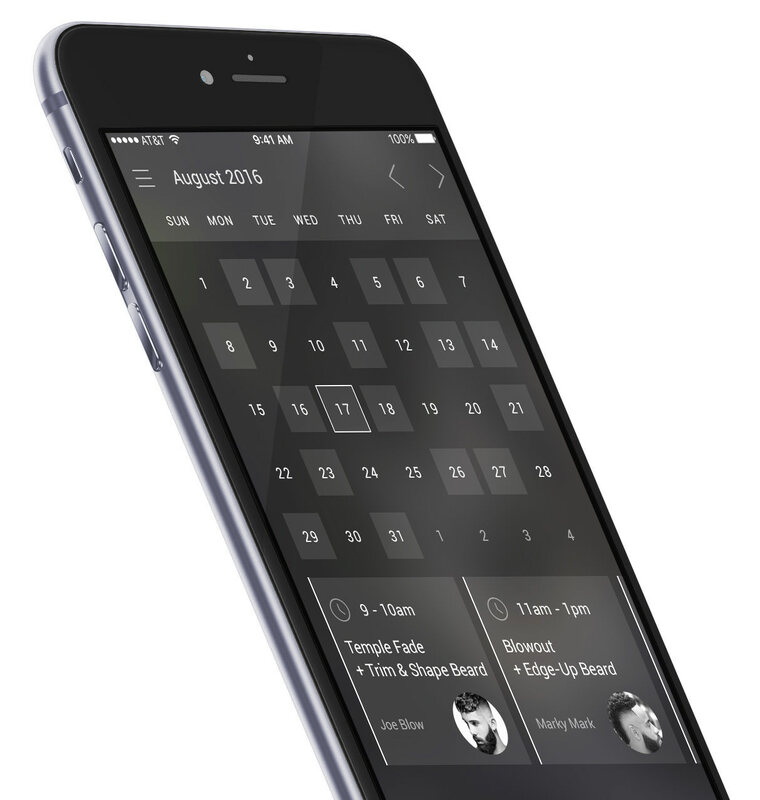 The Booking feature allows your clients to book time with you, on their time, at anytime – and all appointments can be synced to whatever calendar you already use. The Notify feature sends appointment reminders direct to your client's cell phone. You can enforce no-show and late-cancellation fees to safeguard your most valuable asset: time. 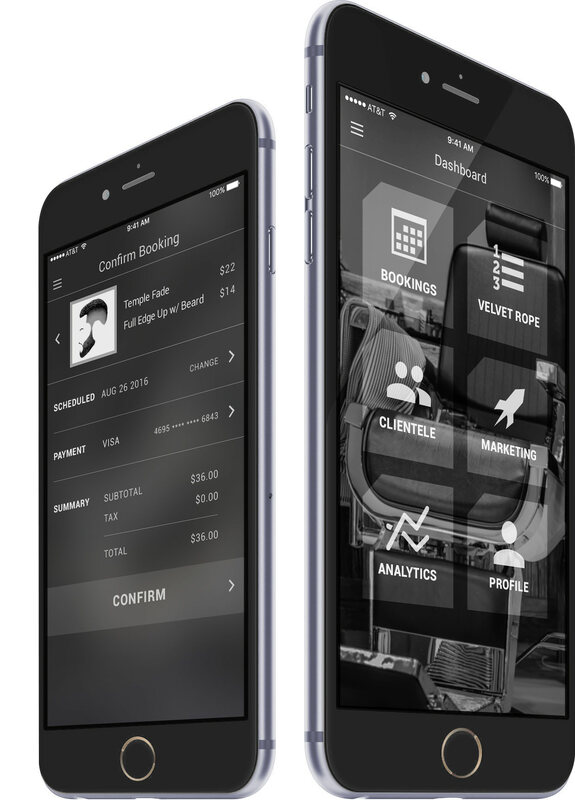 The Velvet Rope ℠ feature seamlessly onboards walk-ins, making efficient waitlist management effortless. Waiting customers can go grab a slice of pizza while they wait, and the app will page them when it's their turn. "Remember how you did it last time?" To help you track client preferences, the Final Cut ℠ feature provides a convenient place to stash photos of your client's favorite cuts. The Partners ℠ feature keeps potential customers from slipping away. If you're booked, on your day off, or out of town, clients looking to book with you can still book with one of your partners, and your partners will do the same for you. At it's core, Barber.Network is a search-engine-optimized website-database of barbers (BarberBase ℠ ) that is searchable by anyone with a web browser. You get ownership of your very own, customizable BarberBase ℠ profile. 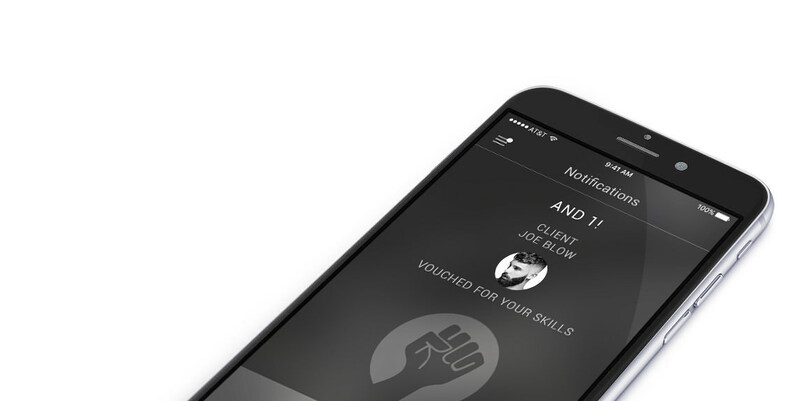 With the Barber.Network Vouch ℠ feature, your clients can boost your rep by vouching for your skills. Clients can search BarberBase ℠ based on Vouch ℠ ranking. The more people Vouch ℠, the higher you rank. Display photos of your coolest cuts in Showcase ℠, and have them front and center on your profile. You can tag each photo with the haircut style that is featured, such as "skin fade", "blowout", "high and tight", "hair tattoo", etc. The photos will then be findable by clients searching BarberBase ℠ for similar designs. With the Barber.Network Nitrous ℠ feature, you can run a promo – like a student discount or raffle – and blast it out to your entire customer base with the tap of a button. The Barber.Network Radar ℠ feature tracks down clients you haven't seen in a while and automatically sends them personalized marketing messages to reel them back in. The Re-Up ℠ feature lets you create custom membership programs to help build predictable, recurring revenue and reward customer loyalty. No medium has greater reach than the web. It's accessible to humans and robots alike: Google, Bing, Siri, Cortana, iOS, Android – you name it. That's why every barber's profile in Barber.Network is a standalone, fully-optimized website. This feature is first come, first served. Almost nobody carries cash anymore. Barber.Network makes all forms of payment processing a breeze, and helps avoid the awkwardness of tip time. Your clients can pay you with credit, debit, direct bank transfer, PayPal, Google Wallet, Apple Pay, Android Pay, Venmo, BitCoin — you name it. Standard payment processing fees apply: All internet payments are sent through Braintree, who charges 2.9% + 30¢. This is standard, and unavoidable. No one will process payments for free. We do not charge any additional fees. With the Barber.Network Cash Flow ℠ feature, your clients will be given the option to pay in advance, right after scheduling their appointment. If you already have valuable client info stored in another system, our comprehensive Transporter ℠ service will get it safely moved over without you breaking a sweat. Once in our system, all your data: client lists, photos, transaction history – everything, is backed up and encrypted in the cloud, and can be downloaded anytime. The Barber.Network user interface is completely bi-lingual, and can be toggled between Spanish and English. First-timers will be provided with step-by-step directions at the tap of a button. Easily track and monitor the business impact of your Barber.Network profile with our Mission Control dashboard powered by Google Analytics. Whether you do house calls, or you like to cut hair from the comfort of your own home, a public profile on Barber.Network levels the playing field by giving you as much exposure as the corner barbershop. That's the power of the web. Barber.Network is fully integrated with all the apps you already use: Instagram, Pinterest, Facebook, Twitter, & Google. We believe that good software instills confidence, and brings joy to the heart. 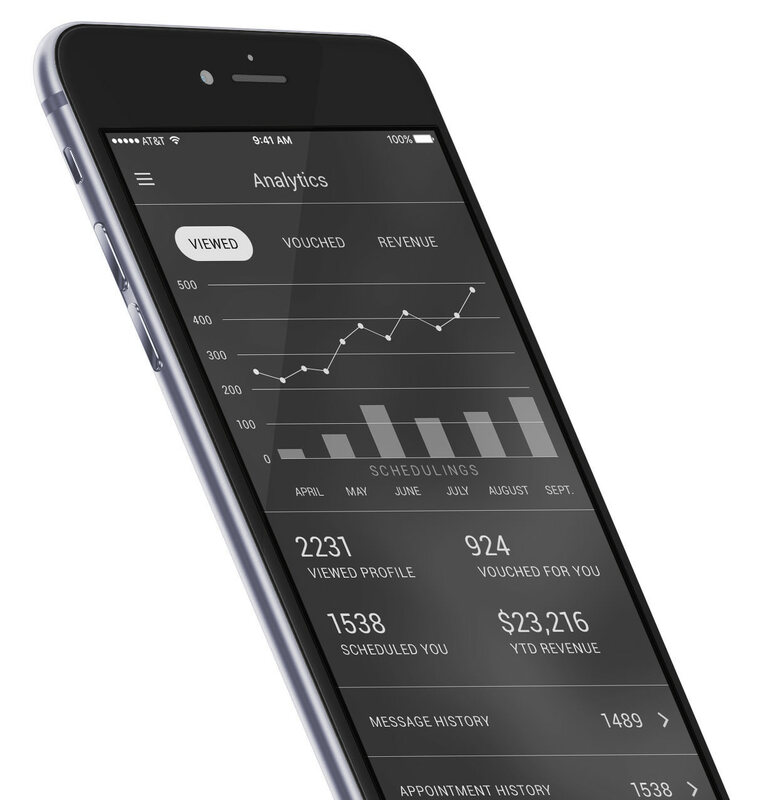 That's why we designed an intuitive, easy-to-use interface that's as nimble, as it is elegant. Barber.Network runs on the most widely adopted, and readily accessible, technology platform in the world: the Open Web. We're On a Mission to Elevate the Barber Industry and Barber Culture. This is Only the Beginning. Public release is Summer, 2017, but you can get ahead of the game by jumping in line now, and be among the first to use the app. Sorry, the server threw an error. The Barber.Network brand name, logo, and any branded feature titles marked with the ℠ symbol, are the copyrighted intellectual property of BarbersGuild, LLC. Don't steal our stuff.